After working with clients for 15+ years, I can tell you there are definitely no shortcuts when it comes to your health & wellness, but working w/ me can help you get results FASTER than going at it alone. I’ll help you work SMARTER, not harder by focusing on the RIGHT things that will make the MOST impact. 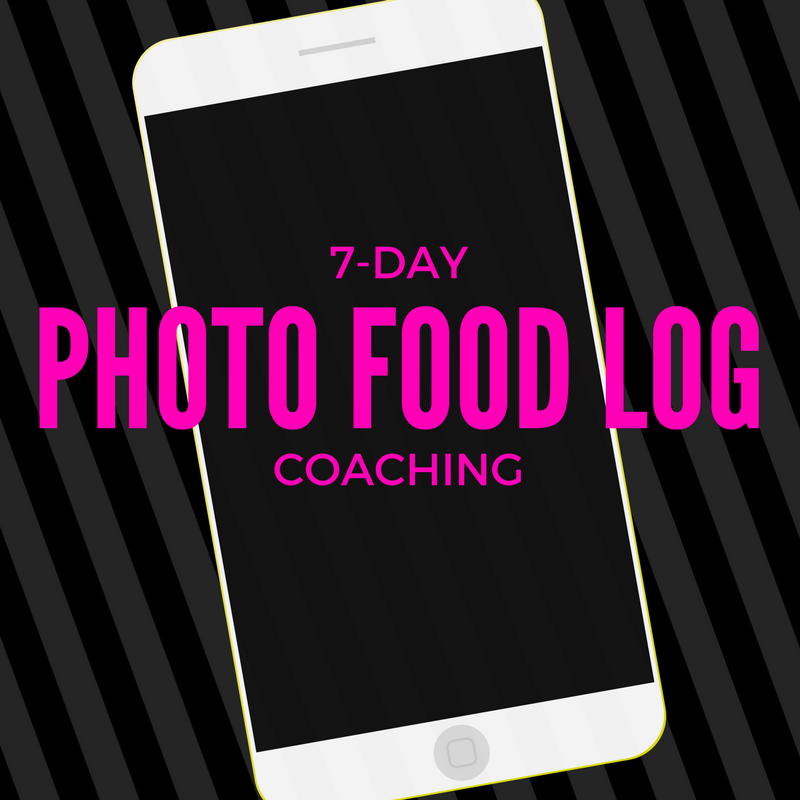 You’ll take pics of everything you eat on a regular basis for 7 days before our session. No judgments on this. We just want to have a record of where you’re starting from. By using photos we are able to discuss REAL LIFE SITUATIONS / CHOICES / DETAILS. No broad, generic stuff … REAL strategies for REAL life. I have an app that you will use that sends me the pics in real-time. We’ll meet either on a video call or if you’re in Chicago @ Soho House (in West Loop). During the session, I will listen to your goals & then we will go through the food pics together. I’ll help you identify what’s working & what’s not to help you get to your goal. I’ll also make sure to give you specific ideas about the best products/brands, meal/snack ideas, etc. I will send a follow-up email w/ notes from the session outlining the ACTION PLAN and resource links that will help you succeed. I have TONS of resources … so depending on what you need I can give you things like meal planning tools, mindset worksheets, 10-day clean eating plans, motivation trackers, recipe packets, snack cards, etc. If you’re interested in CLEAR direction + PERSONALIZED resources to help you succeed ... LET’S DO THIS! We go over successes, struggles, and new strategies to help you get to your goal. They are great for accountability, motivation, and inspiration! Click >>HERE<< to learn more about follow-ups.